Although most reviewers considered Undeniable another strong album in AZ&apos;s ever-growing discography, the LP has had massive trouble selling (in fact, a recent Soundscan showed the Mormon Tabernacle Choir had outsold him). Knowing his music isn&apos;t sauced up for radio or BET spins, the Visualiza isn&apos;t disappointed, but instead motivated to launch a new single. On What Would You Do, AZ once again reveals his stressful street experiences, which from time to time have made him want to "let somebody have it." Bringing the soul, feature guest Jay Rush fights victoriously in the "belly of the beast" over an epic beat courtesy of M.O.P.&apos;s Lil&apos; Fame. What Would You Do is the fifth single to be released from Undeniable, in stores now. 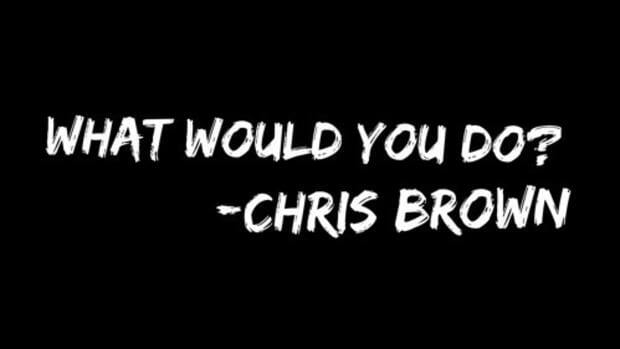 Chris Brown - What Would You Do?